Friday 1st April @ 7.30pm bst/uk. 9v9 Highlander Match! Best out of 3 WINS! -Mumble needed for comms or in-game team speak either one is fine. -Names down reply to this thread or message me on steam if preferred. Once we have full interest and full team's of 9's (subs applicable also, max 2 each team) of signup's! maps and teams will be organized and balanced to make things fair and posted nearer the time of match! Also after this 9v9 match i will be hosting a 6v6 match couple of weeks after! wait.. its the 1st of april, what games are you playing here MIG? Ah yes! A match! I'll be Soldier, Sniper or Engineer as usual. 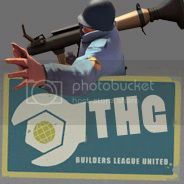 Maps will be 2fort and hydro. Classes: Spy ofcourse, and if there are no spy slots, soldier. Any more peeps interested? still plenty of time left to sign up! But i'm pretty sure if we did an announcement on server during rushing hours more people would join. 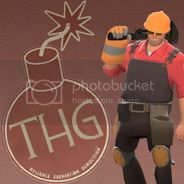 I'll make one this evening on the THG group. I'll be around Friday night, martini classes as usual. I can only think of spy. What other ones would drink martini's?